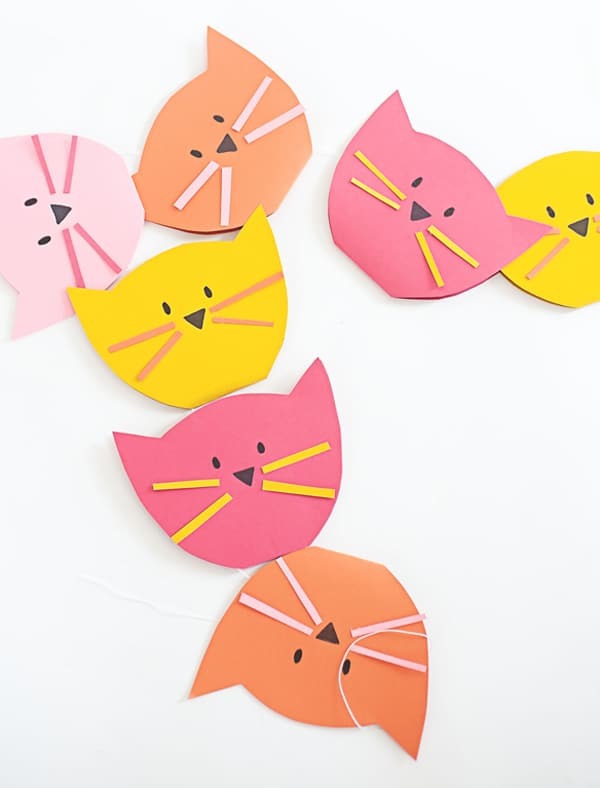 Your kids will love these paper craft ideas. 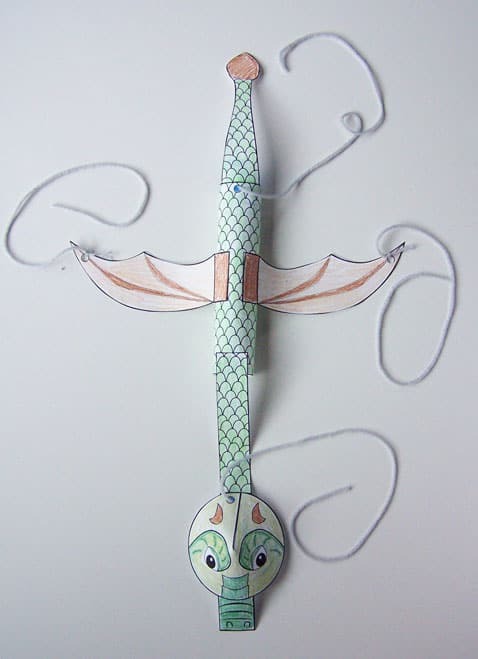 From flying dragons to monster bookmarks and pattern pinwheels! Something for all ages! 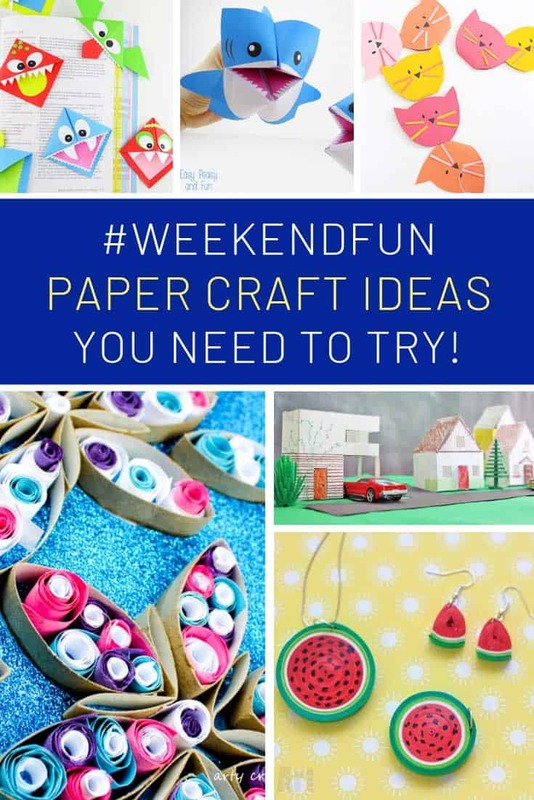 If you’re looking for a weekend project you can’t go wrong with any of these paper craft ideas for kids. 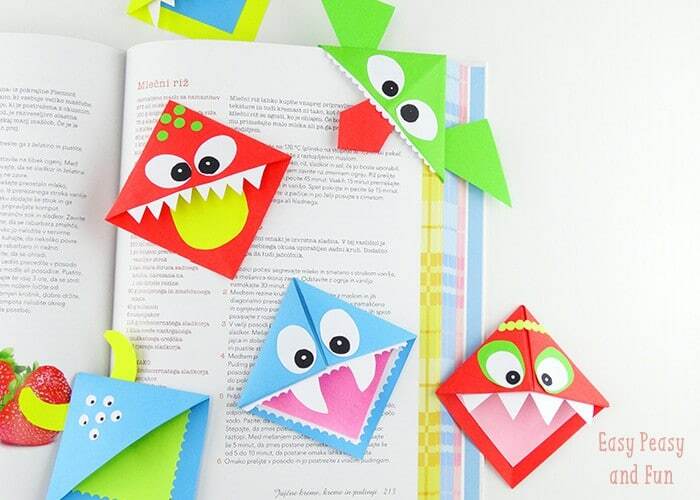 There is something here for children of all ages to enjoy, and they’re all keeper projects that your children will want to use or display after they’ve made them! 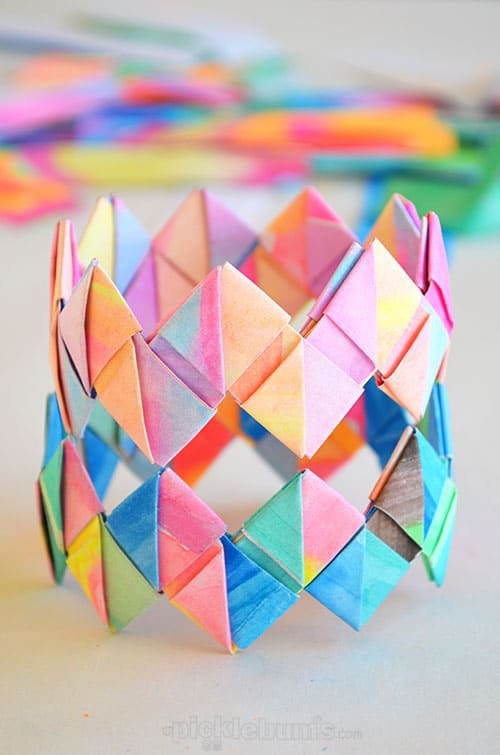 I am in love with these folded paper bracelets! They take a little time and patience so this is one for the tweens in your family. But they look FABULOUS and would make great back to school gifts for friends! Cutting skills are so important for little ones to practice and what better incentive is there than to make a whole garland of snowflake ballerinas! Oh my goodness! 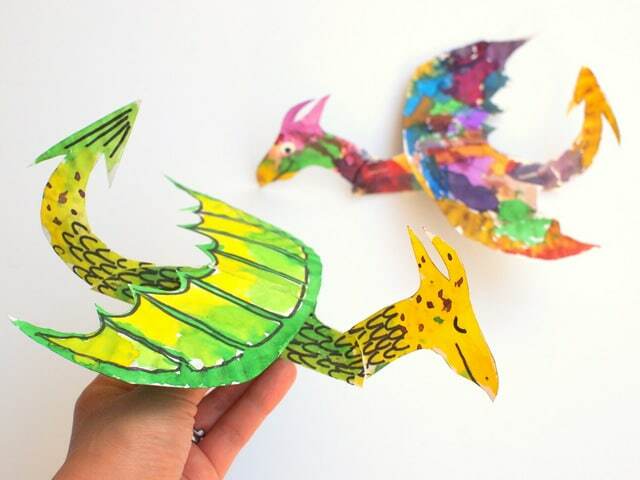 How amazing are these dragons! And I can’t believe they’re a paper plate craft. These are total keepers; I can see them being strung with fishing line from the ceiling so they can fly around all day! Sometimes I feel I don’t share enough boy crafts, but this is one that boys will love to make I’m sure! Don’t miss our other easy paper plate craft ideas! Oh and just like busses, two come long at once… here’s another craft that boys would love as much as girls! And these fabulous bookmarks are sure to encourage them to go read a book! I love garlands, they’re fun for the kids to make and the perfect way to brighten up your mantel or even a window whatever time of the year. Your kids could make this cat garland for Halloween but I don’t see any reason to take it down when October is over! 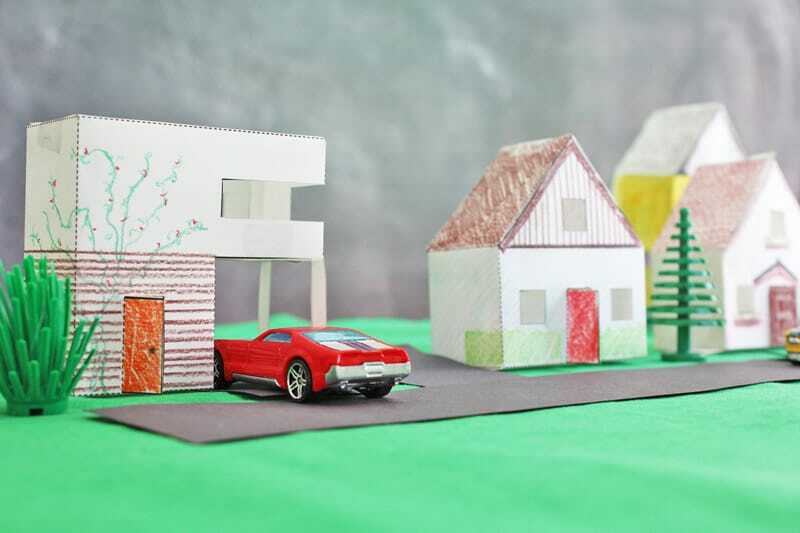 Oh here’s a paper craft for the budding architect in your family! A whole village full of paper houses! These are fun to decorate and build and then fun to play with too! Dod you remember making cootie catchers at school? That’s kids making origami without even realising it! 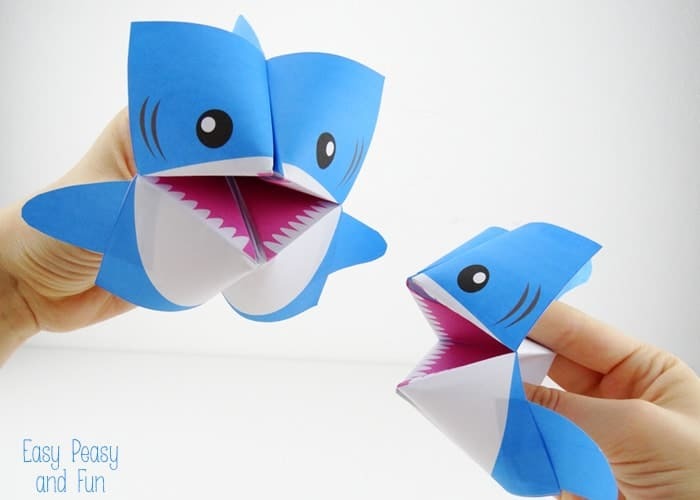 This shark cootie catcher is super cute don’t you think! Oh look here’s another dragon! This little guy is super cute and the perfect way to spend a weekend colouring him in and then making him come alive in a puppet show! 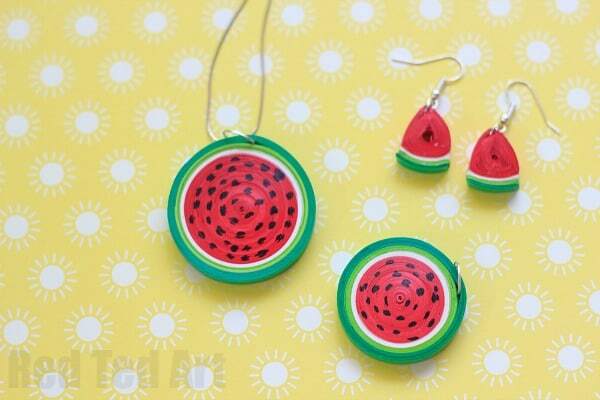 If you’re looking for a paper craft for your tween or teen to enjoy then show them how to make these fabulous watermelon pendants. 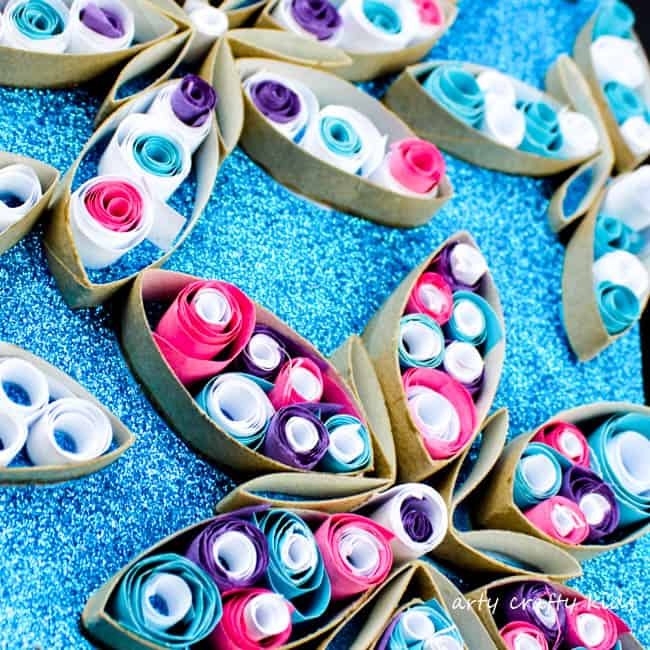 Paper quilling will no longer be snubbed as a granny craft! 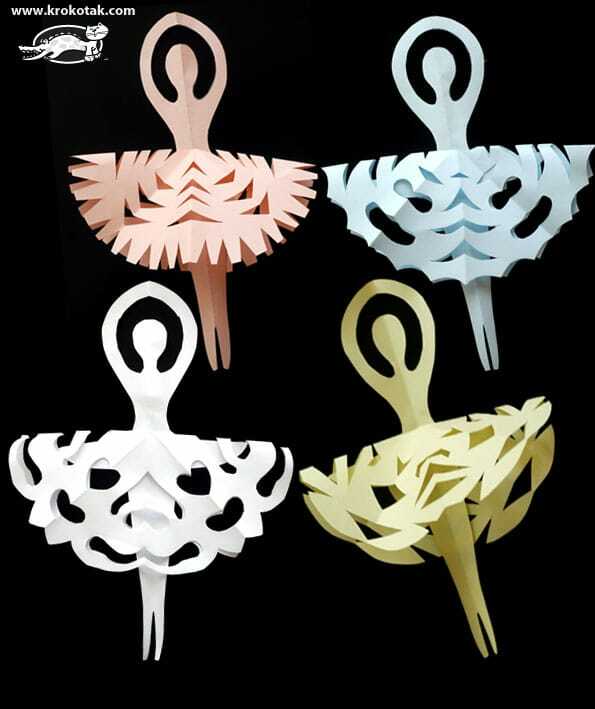 And while we’re on a quilling roll have a go at these GORGEOUS snowflakes too! They’d look fabulous on your Christmas cards. I think they look like flower heads too so add a stalk and your kids could make some summer wall art on a canvas! 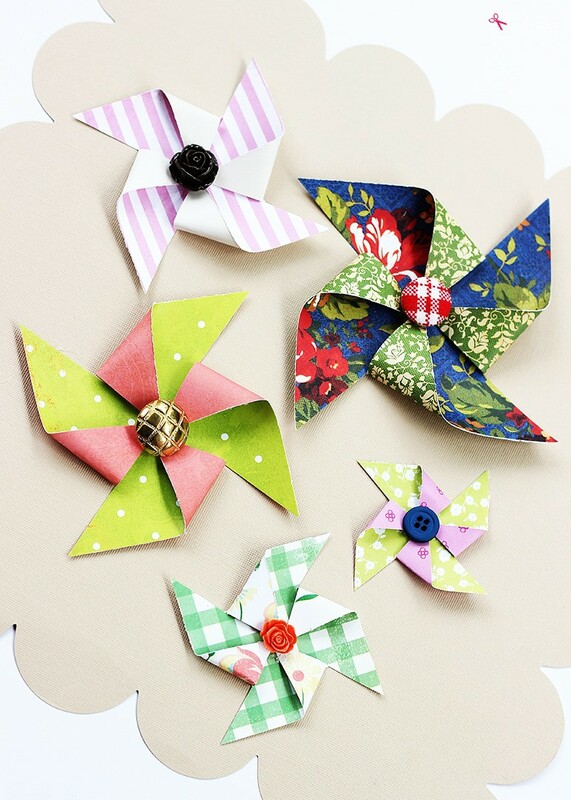 And lets finish up this collection of paper crafts for kids with these GORGEOUS paper pinwheels! 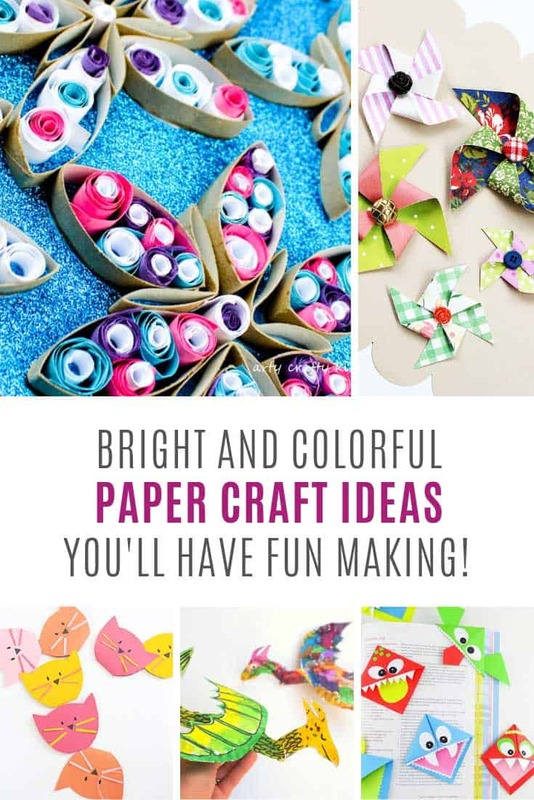 Let your kids lose with your old scrapbook paper scraps (or pick up some of the paper squares from the Dollar Store craft section) and they’ll have hours of crafty fun! Previous PostPrevious 7 Comic Book Bullet Journal Weekly Spread Ideas You’ll Want to Try! Next PostNext Gorgeous Mandala Crochet Patterns You Need to See!